Manufactured in ultrachic Barcelona, this innovative line of skin care is immediately recognizable thanks to inspired packaging, which has wrapped each product in the most gorgeous shade of turquoise blue, the colour of the sea around Menorca. My mind associates it with warm seawater, swimming pools, clear blue skies, summer, carefree holidays ... in other words, relaxation and rejuvenation. The formulations rely heavily on natural extracts and plant-based essential oils, and have been easily tolerated by my fragile, sensitive skin. I have tried seven so far, and have found them all to be excellent. This new luxury brand has been a wonderful discovery and is definitely worth the very reasonable price. 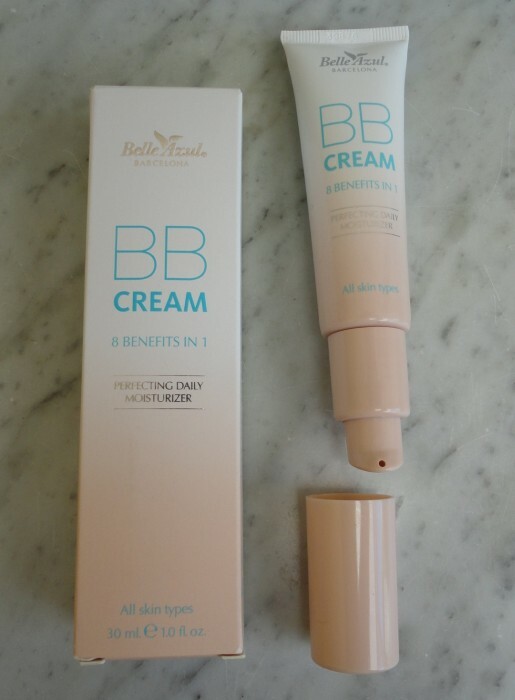 Lately I have switched almost completely from foundation to BB creams. The additional hydration helps my mature skin, and the result is much more natural. This product gives good coverage for my sun-related discolouration without getting trapped in my “laughter lines”. 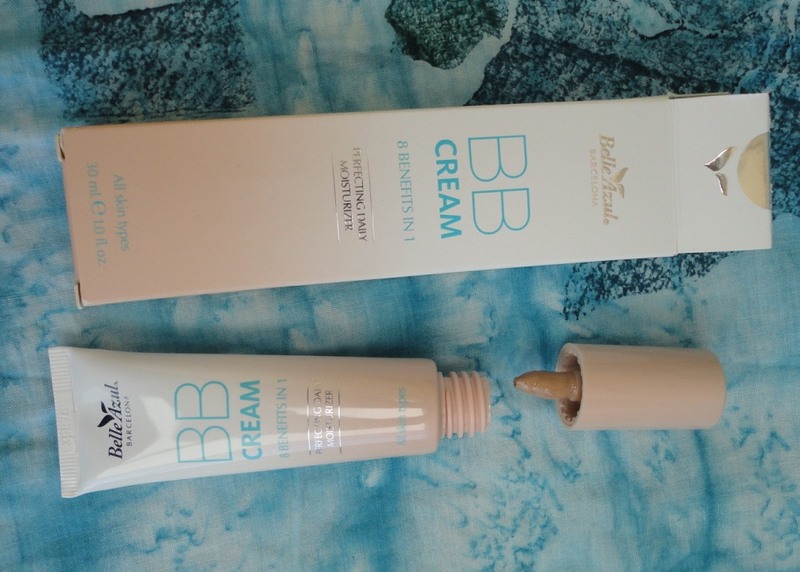 It's very fluid and creamy, and easy to apply. I can use it on its own over a serum and eye gel, or after a light application of day cream. Either way, it stays matte and lasts well throughout the day. I much prefer it to foundation which is starting to look too heavy on me. It comes in a soft tube with pump delivery. It looks small but it contains 30 ml, which is going to last me for a long time because I only need a tiny amount each time. 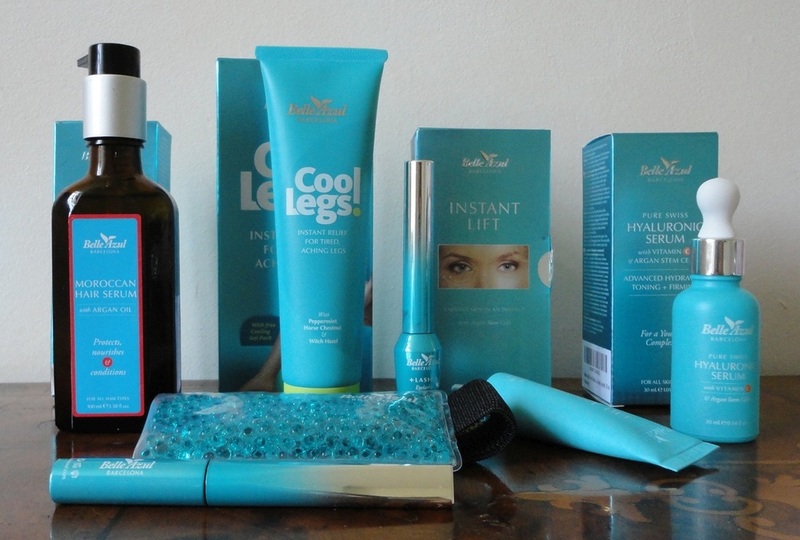 This brand uses mostly natural ingredients, no parabens or phtalates and does not test on animals. 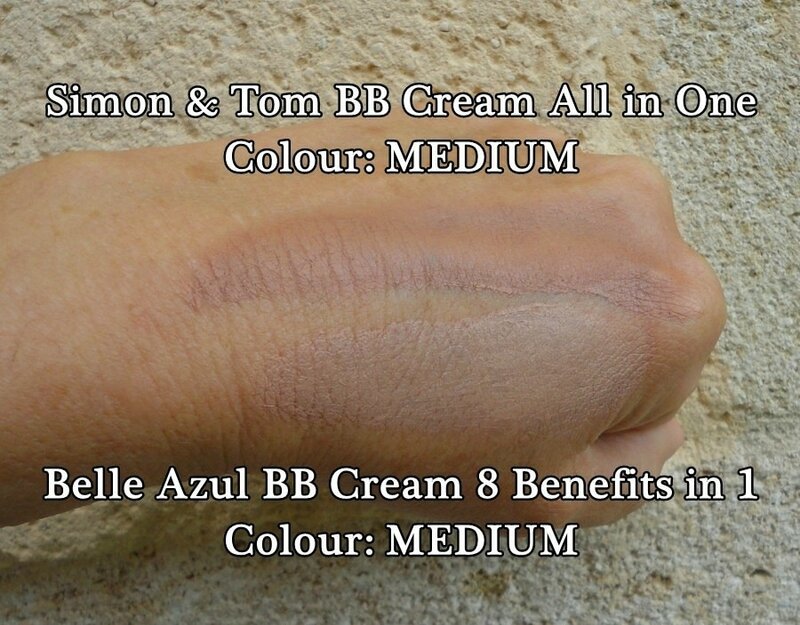 Comparing this to a similar BB Cream by Simon & Tom (made by the same people in Barcelona), the main difference is in the intensity of the tint. I have both in Medium and this one is considerably lighter than the Simon & Tom one. 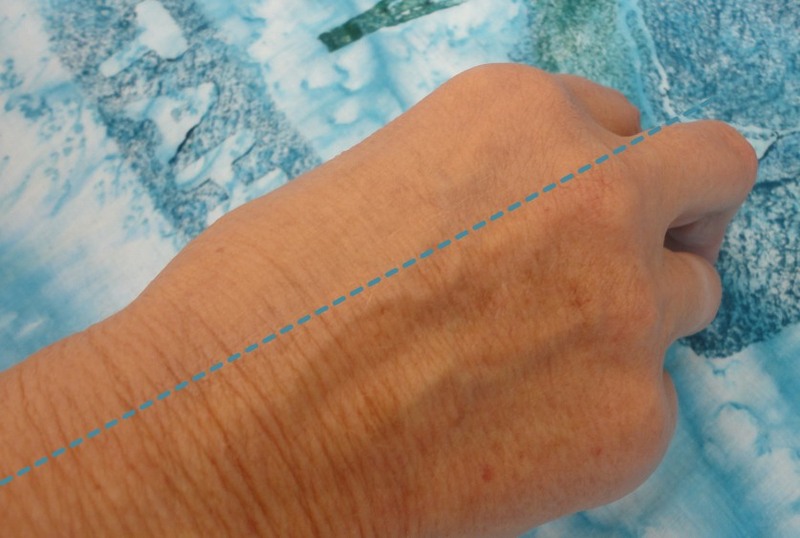 In the photo, you should be able to see a distinct difference. I should mention that my hands are moderately tanned, and I have used a lot of product to make it visible. On my face the effect is much more subtle and natural. After years of using mainstream conditioners with mixed results, we tried Argan Oil last year and have never looked back. I was interested in trying this product because we have found that there are so many variations between brands. My husband's hair is plentiful but very fine and definitely curly, whereas mine is heavier and wavy to straight, depending on the weather. We both love this serum for different reasons. 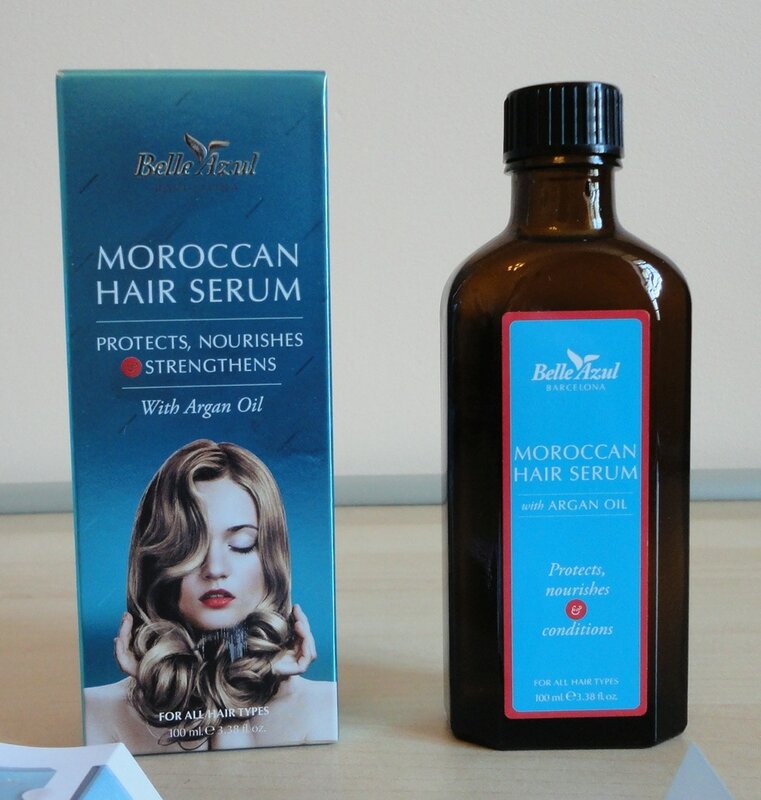 This product is described as a serum containing argan oil and whatever else is in it, I think it's fantastic. The serum is a thick oily liquid and I love the immediate shine it gives before disappearing completely without a trace of greasiness. It makes it easy to brush even long hair and it controls my husband's fine hair beautifully. He had to use a lot of gel before, but now it appears that this serum is all he needs. I like it equally on dry and wet hair. Although you get an immediate result and it really brings out the highlights, I found that using it regularly actually improves my hair, especially hair that has been coloured or sun bleached. The glass bottle is dark, presumably to protect the contents from light damage and although not huge (100 ml), it lasts well because so little product is needed each time. For my shoulder-length hair, two pumps are enough. There was no pump dispenser in my sample, but I happened to have one from a previous purchase that fit the neck, so I am able to dispense the serum precisely. I also love the scent which is kind of unisex but lovely and it does persist on my hair, so no additional perfume is necessary. I have to mention the packaging because it's one of the best things about it and, visually, I find this brand has totally captured the essence of a hot summer's day at the seaside. One of the best hair treatments I've tried so far. Just when I thought I had seen everything in the serum universe, along comes this new fabulous formulation which adds Argan Stem Cells to the classic anti-ageing ingredients Hyaluronic Acid and Vitamin C. A serum should always be followed by a moisturizer anyway but, if you find that serums dry your skin, you will love this one. The consistency is that of a fluid gel, it's clear and it's very refreshing but the unusually nourishing after-effect is due, I believe, to the addition of Argan Oil. Because it's so silky, it allows a long massage time, leaving my skin beautifully hydrated even before the next product. I think I can see an immediate and very pleasing smoothing of the lines and wrinkles around eyes and mouth. I also like the bottle; apart from the beautiful turquoise (my favourite colour), it's made of opaque glass to protect the serum from light deterioration but, if I hold it against the light, I can see how much serum is left. The glass dropper dispenses the fluid precisely and hygienically. The bottle contains 30 ml (or a little over 1 ounce) of serum, which is pretty standard for this type of skin care. At the current price of less than £15 (US$15) and considering the high quality, this is amazing value for money. The fragrance is so light as to be almost unnoticeable and I had no trouble convincing my husband to use it as well. One of the kindest products I have ever put on my skin, especially the fragile area around the eyes. Normally four weeks is a good test period but I could see this product working after only one week. 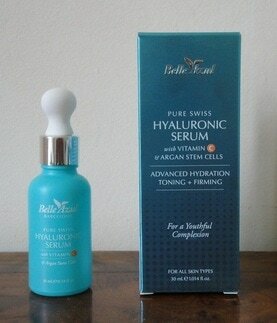 Top quality serum which gives immediately visible results and more durable ones over time.